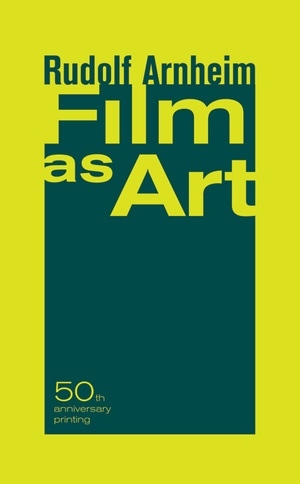 In the fall of 1957 the University of California Press expanded Arnheim’s 1933 book Film by four essays and brought that landmark work back into print as Film as Art. Now nearly fifty years after that re-edition, the book continues to occupy an important place in the literature of film. 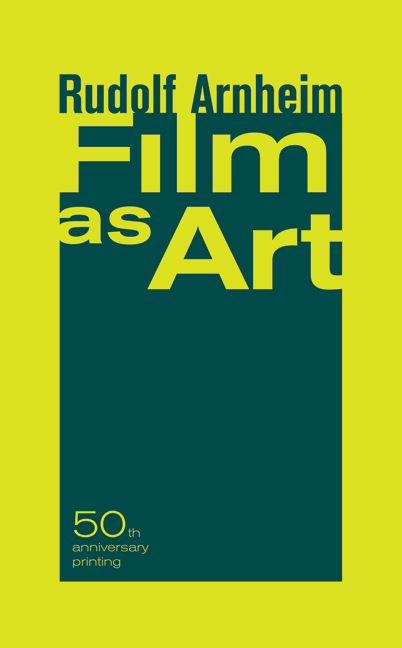 Arnheim’s method, provocative in this age of technological wizardry, was to focus on the way art in film was derived from that medium’s early limitations: no sound, no color, no three-dimensional depth. Rudolf Arnheim is Professor Emeritus of the Psychology of Art at Harvard University. His books include Visual Thinking (UC Press, 1969, 2004) and Art and Visual Perception (UC Press, 1954, 1974, 2004).